St. Irene Chrysovalantou came from visions of the Greek decent in Toronto's Greek area of the Danforth. 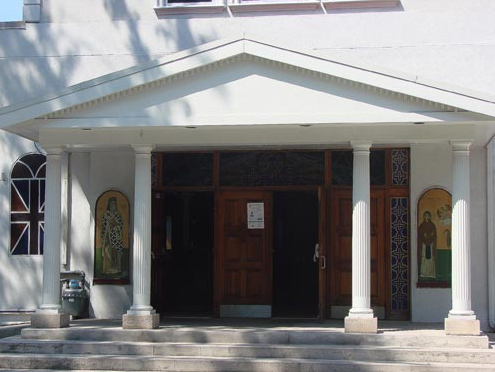 The Danforth was home to many Greeks, and they recognized the only thing missing in their Greek town was their church. In 1974, construction began on Gough Ave., as an old car shop was being transformed into the church we know today. The church had a temporary location in the St. Clair and Victoria Park area until the first service was conducted in on June 1st 1975, under the spiritual direction of Fr. Dorotheos and Fr. Chris Chronopoulos. These priests will always be remembered for encouraging the children of Greek migrants to spread their Greek culture and heritage in the decades to come as they knew that the Baby Boomers would be the future of the Community. In 1981, Rev. Fr. Philip Philippou was welcomed into the priesthood at St. Irene Chrysovalantou by Bishop Sotirios. On March 16th 1986, St. Irene was the final church to join the Greek Community of Toronto under the presidency of Mr. Mylopoulos. In 2003, construction began to create a domed roof along with traditional Orthodox architecture under the tutelage of Fr. Pavlos Koumarianos who soon after moved to Boston. 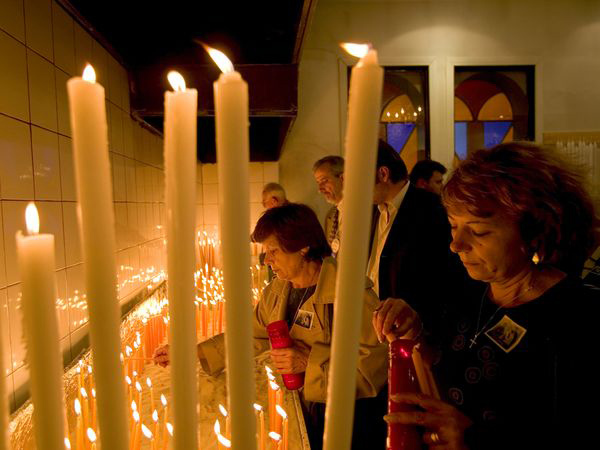 Today, St. Irene Chyrsovalantou Church is under the spiritual direction of Very Rev. Father Constantine Siarapis. The GCT has also made St. Irene home to the Adult and Senior's Day Program which runs weekly every afternoon. The GCT is in the process of completing the iconography of the church. Donations are continuously being received for the iconography. 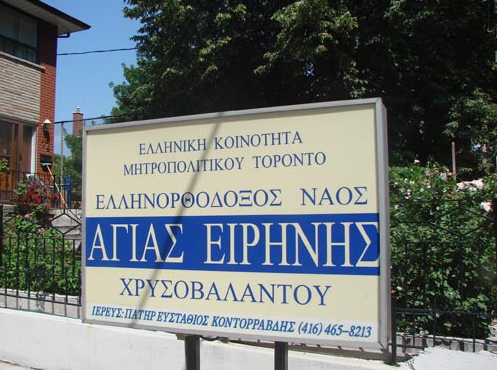 If you would like to make a donation, feel free to contact the GCT offices or visit the Church at 66 Gough Ave. St. Irene will always be known as a proud accomplishment of the GCT, as it is the only Greek Orthodox Church located in Toronto's Greektown on the Danforth!